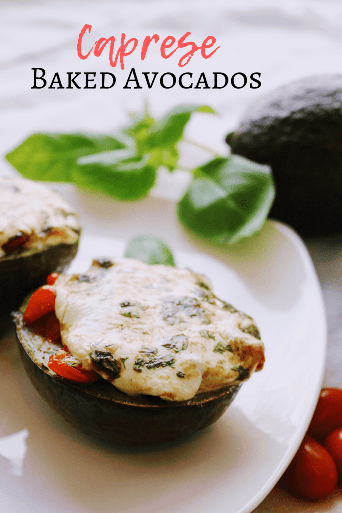 Caprese Baked Avocados are a step up from the regular caprese salad stuffed avocados. 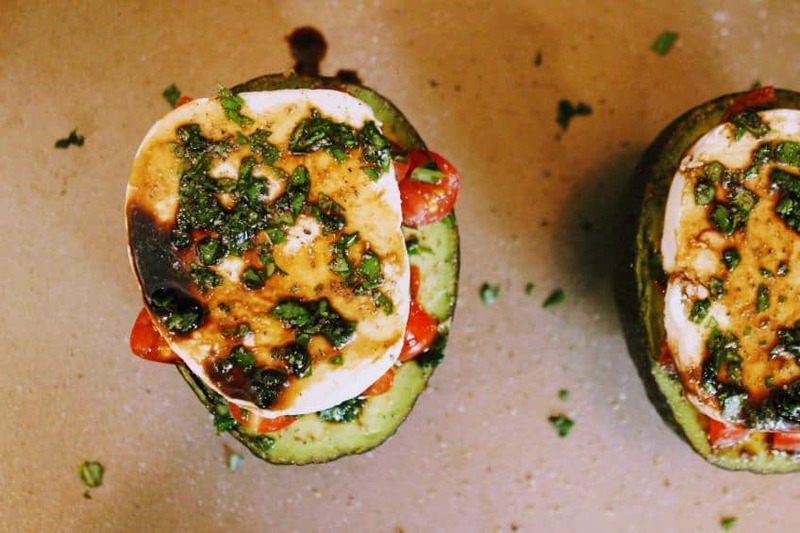 You’ve probably seen keto caprese stuffed avocado recipes floating around the internet. Italian caprese salad is a delicious combination of tomato, fresh mozzarella cheese, fresh basil, and drizzled with olive oil and balsamic vinegar. 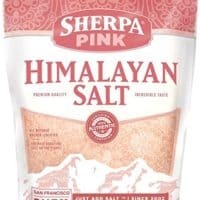 Perfect for keto! But have you ever seen a BAKED version? Caprese salad is delicious fresh, don’t get me wrong. 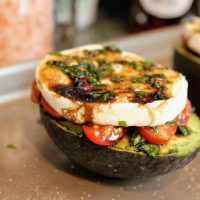 And when you bake these little guys so the avocado is warm and creamy, the fresh mozzarella cheeese gooey and melty, and the the balsamic vinegar slightly caramelized, you’ll understand why I say this easy Caprese Baked Avocado recipe is a step up! Caprese salad is refreshing. 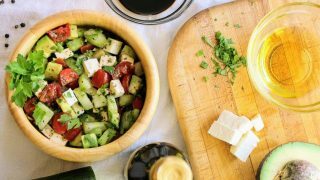 A fresh salad with just-snipped herbs from the garden is sometimes just what the body craves. We can sometimes go overboard on the keto diet with meat! But what if you want fresh AND warm comforting? And you don’t feel like making two meals? And you don’t have a ton of time? 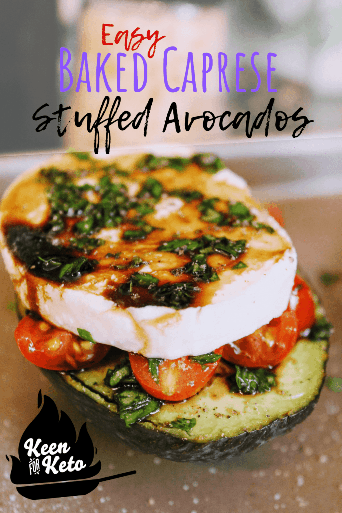 Caprese Baked Avocados fit those criteria! I LOVE using fresh ingredients. And veggies are my jam. 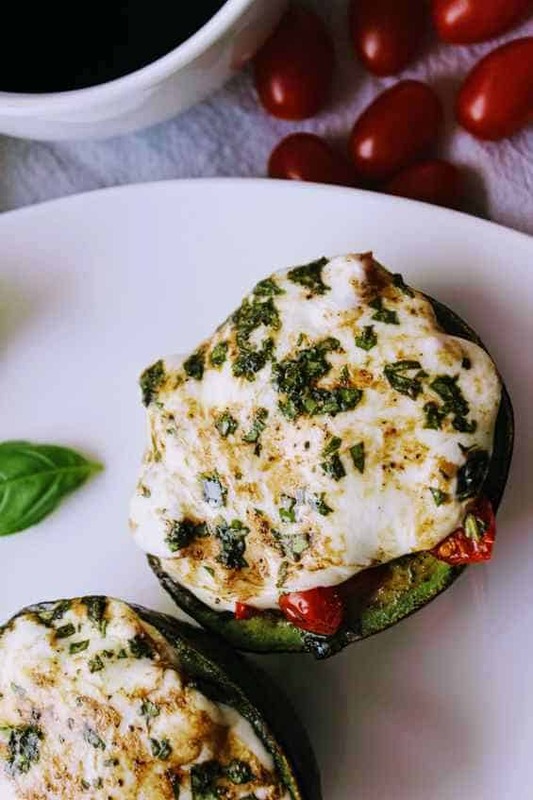 But when winter comes or I’m craving something more like a keto comfort food, a good baked stuffed avocado with herbs and veggies and gooey mozzarella cheese is just right. Can you put avocado in the oven? Yes! I was so skeptical the first time, but hooked immediately! Not growing up on avocados, I honestly thought they would just brown in the oven and be icky. Quite the opposite! Warm avocado is creamy and comforting. And the only thing that can make it better is gooey cheese melting all over it! What happens when you bake avocado? Can you cook avocado? As most foods, the taste of an avocado can change slightly when baked. To me, it’s a good change. To answer the first question, it really depends on how long and the temperature of your oven. I almost always bake mine at between 350°F-400 °F for between 8-15 minutes (max). When I bake my avocados, I’m not trying to roast or brown them. This is one case where “golden brown” is NOT the goal. I’m not even sure I’m trying to cook the avocados completely. 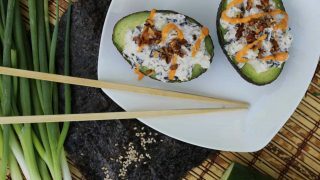 What we want to happen is for the stuffed avocado to be warmed through and the toppings cooked or melted (like cheese!). If you bake an avocado too long, the taste can become bitter. Can you eat avocado warm? It’s the best way! Just don’t burn your mouth. I usually let my baked stuffed avocados sit for abut 5 minutes before devouring. Start by preheating your oven to 400 °F. Cut the avocados in half lengthwise and place the halves with the cut side facing up on the tray. I recommend using a muffin tin to keep the halves from tipping over and spilling the toppings. Salt and pepper each half. Divide the grape tomatoes between the avocados. 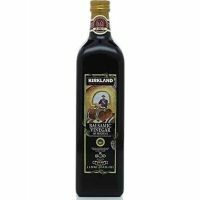 Drizzle with balsamic vinegar and olive oil. Sprinkle the avocado halves with some of the basil. 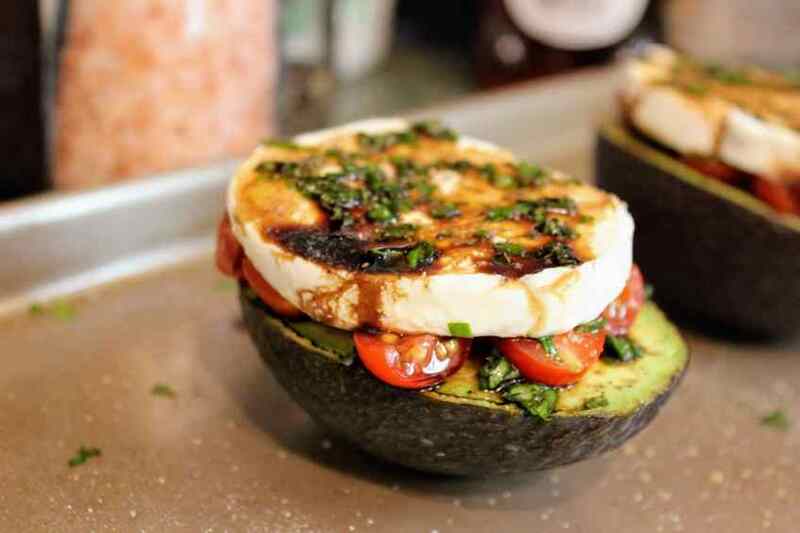 Place a slice of 1/4″ thick mozzarella cheese on top of the tomatoes, covering the avocado halves. Finish the caprese avocados and bake in the oven! Drizzle with oil and vinegar and salt and pepper again. Top with more basil and bake at 400 °F for 12-15 minutes. Allow to rest for 2-5 minutes, and enjoy! 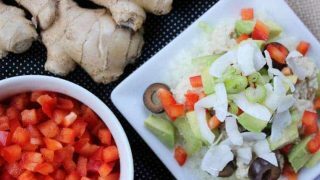 Looking for more easy ketogenic avocado recipes? 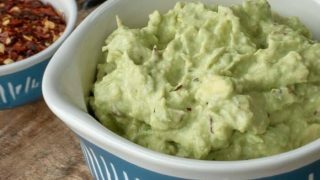 I grabbed some awesome Keen for Keto avocado recipes as well as some from my keto blogger friends to share with you! Enjoy! 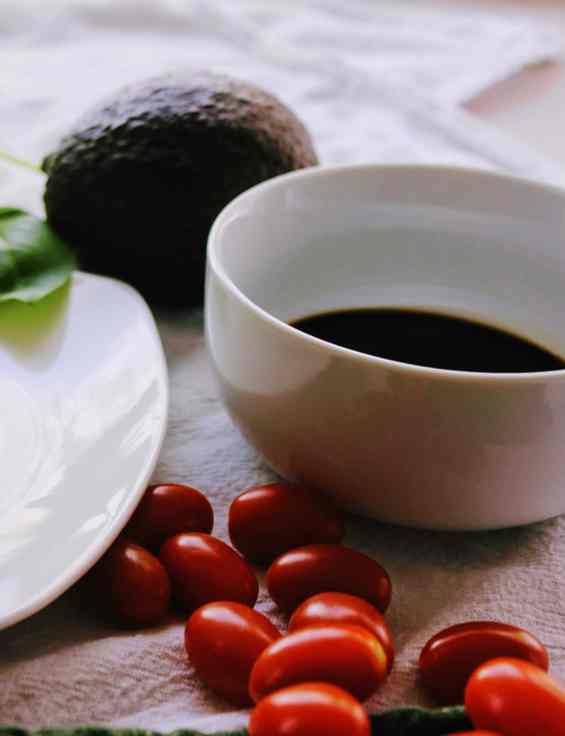 Warm and creamy avocado is filled with diced grape tomatoes and covered with a slice of fresh mozzarella, drizzled with olive oil and balsamic vinegar and then baked till it's warm and gooey and the balsamic vinegar has caramelized slightly. 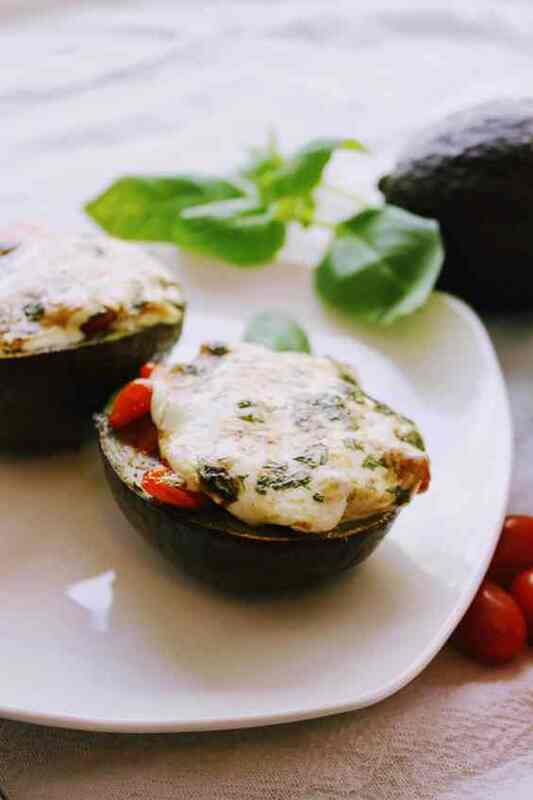 These Caprese Baked Avocados will be a hit! Place avocado halves flesh side up on tray (use a muffin tray for stability). Salt and pepper to taste. Place half of the grape tomatoes in each of the avocado halves. 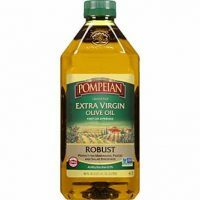 Drizzle each with 1/2 T balsamic vinegar and 1/2 T olive oil. 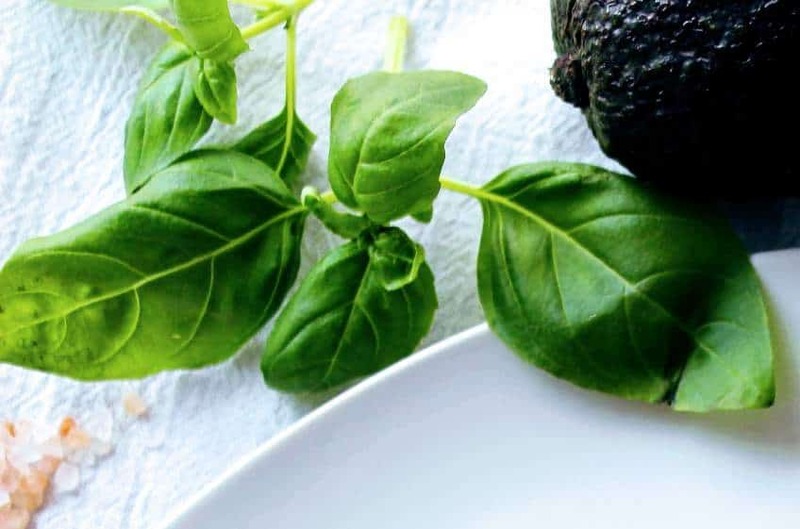 Sprinkle each avocado half with 1 T fresh basil (or 1/4 t dried). Place one slice of fresh mozzarella cheese on top of the tomatoes on each avocado half. 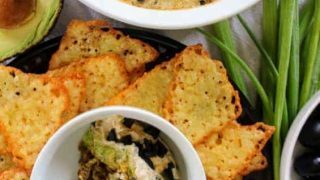 Drizzle cheese with remaining oil and vinegar. 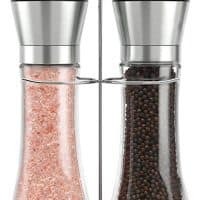 Salt and pepper to taste. Top with the remaining basil, divided. Bake at 400°F for 12-15 minutes. Allow to sit for 2-5 minutes and enjoy! 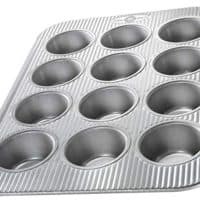 You may use a muffin tray to stabilize your keto baked caprese avocados to keep the toppings from spilling out. Can you put avocado in the oven? What happens when you bake avocado? 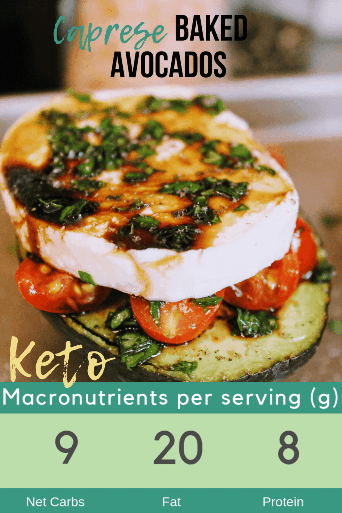 You’ve found a delicious Keto Diet Stuffed Avocado Recipe (Caprese)! 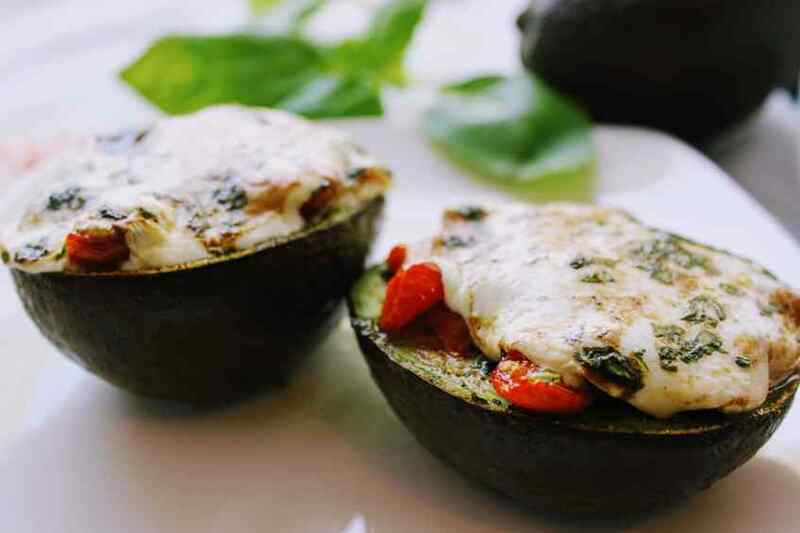 These low carb caprese stuffed avocados will win you over. 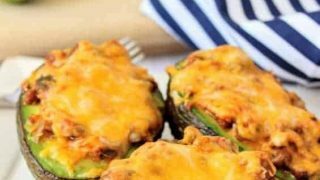 Try these easy ketogenic baked avocados today!